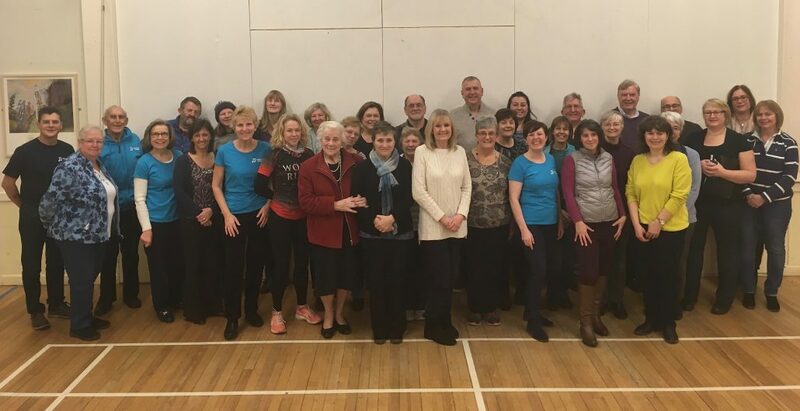 Edgbaston Tuneless Choir launched into song in January 2018. The choir is run by Karen Powell, who has done similar on the high seas no less, organising entertainments on cruise ships. Karen is keen to create the opportunity for people to come together and have fun regardless of talent. From 23 January 2019 we will be meeting in St Monica’s Room at Edgbaston Old Church, Edgbaston, Birmingham, B15 3TA. You can find out more about the venue including directions here. We won’t be meeting in July or August 2019. Sessions start at 7.30pm and go on until 9pm, with a break for refreshments which are included in the price. 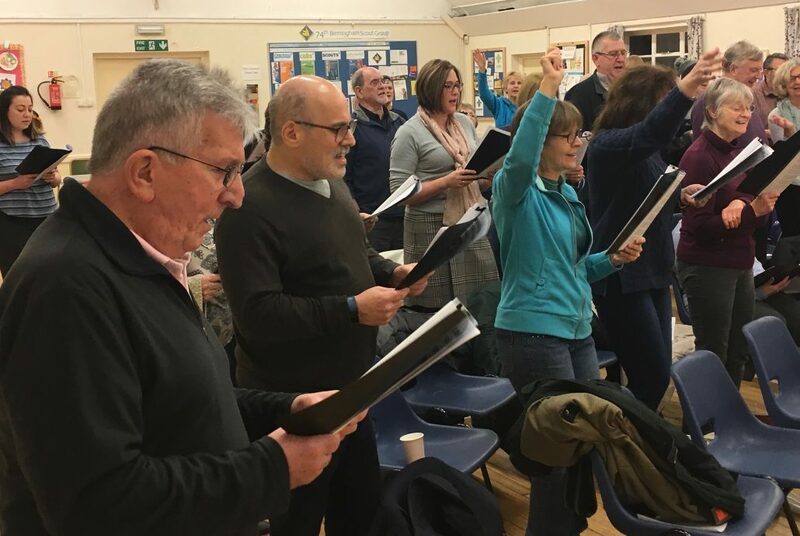 Newcomers pay £10 for their first session, including registration with the choir. The regular price is £7 if you “pay as you go”, or you can pay in advance for a term for the equivalent of £5 per session so maybe £40 for 8 sessions or similar. Although we offer a discount at the start of each term, it’s fine to come along any time. It’s a good idea to sign up for our emails below so we can keep you in touch with any changes. 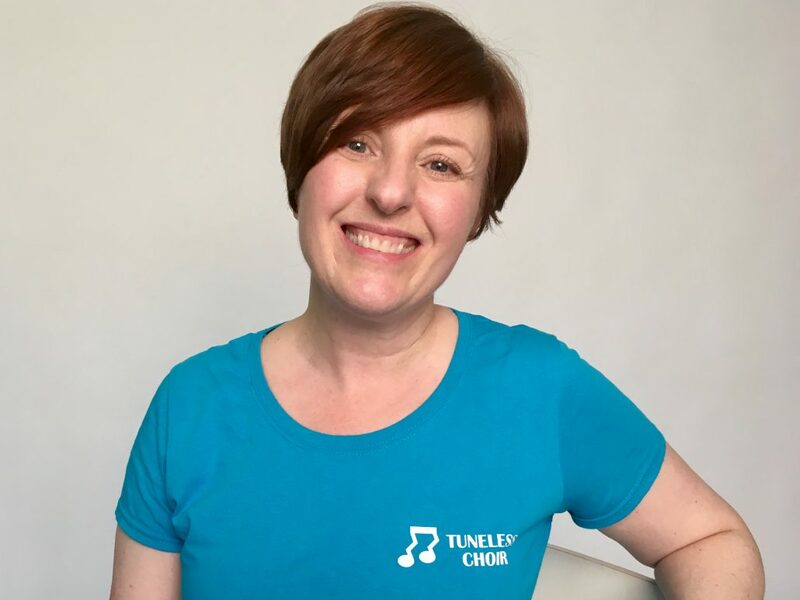 If you have any questions you can contact us by emailing edgbaston@tunelesschoir.com or calling Karen on 07854 793596. Edgbaston Tuneless Choir on launch night! Choir members enjoying a song!